2K today announced NBA 2K Playgrounds 2, the two-on-two arcade basketball game from developer Saber Interactive, will launch on Nintendo Switch on October 16, 2018 for $29.99. Starring Hall of Famer Julius “Dr. 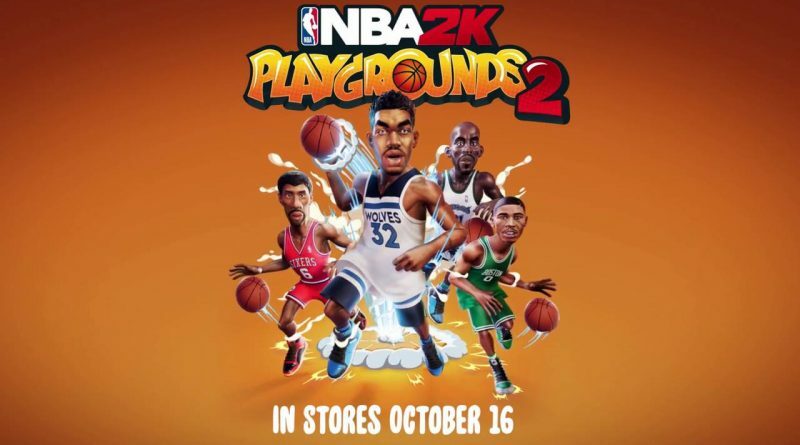 J” Erving, NBA Champion Kevin Garnett, NBA All-Star Karl-Anthony Towns, and emerging Celtics star Jayson Tatum on the cover, NBA 2K Playgrounds 2 steps up the energy and attitude with new players, playgrounds and moves. NBA 2K Playgrounds 2 will feature over 300 players at launch – including legendary new additions like Michael Jordan, Kobe Bryant, and Kareem Abdul-Jabbar – with nearly 200 additional players arriving in updates after release. The game will release with ten new and exciting playgrounds from around the world, including courts in Washington, D.C., St. Louis, Seoul and Australia, with additional courts planned for after launch.